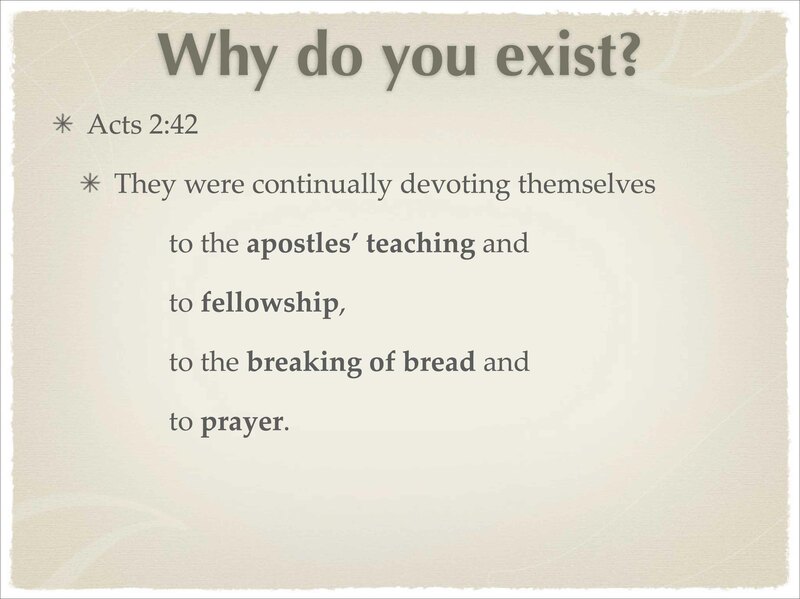 Why do we exist (as a church)? Note that Peter is writing that in the context of preparing for the end and the return of Jesus Christ. 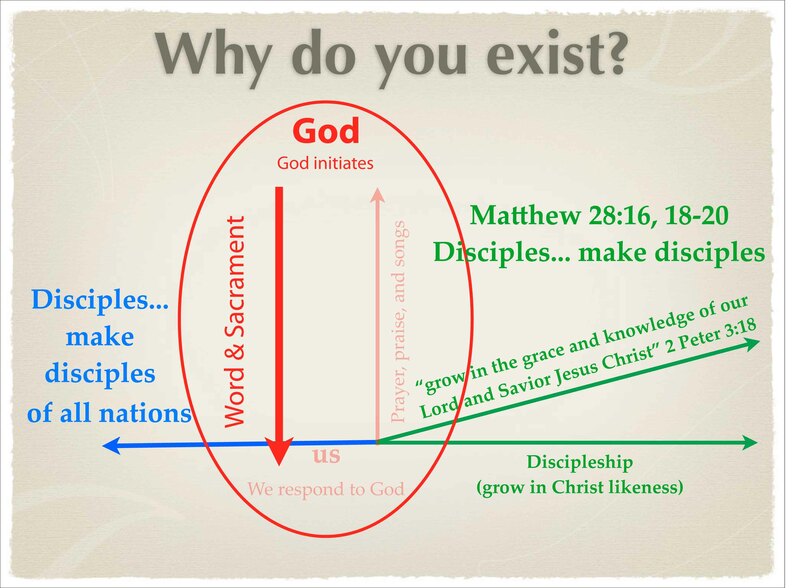 Discipleship flows from that vertical relationship started by God. 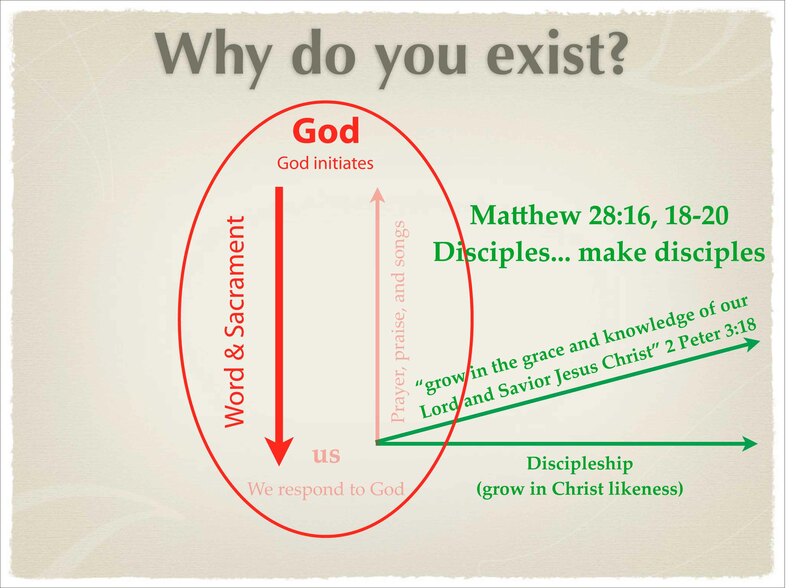 Discipleship involves growing individually in faith in Jesus Christ and him crucified. Here is the complete Overview file. 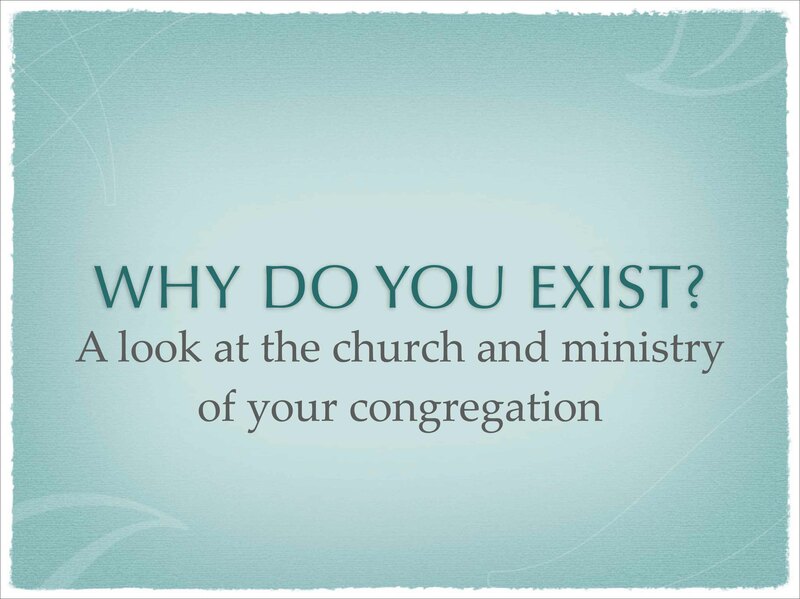 what a great visual way to put the heart of the church! 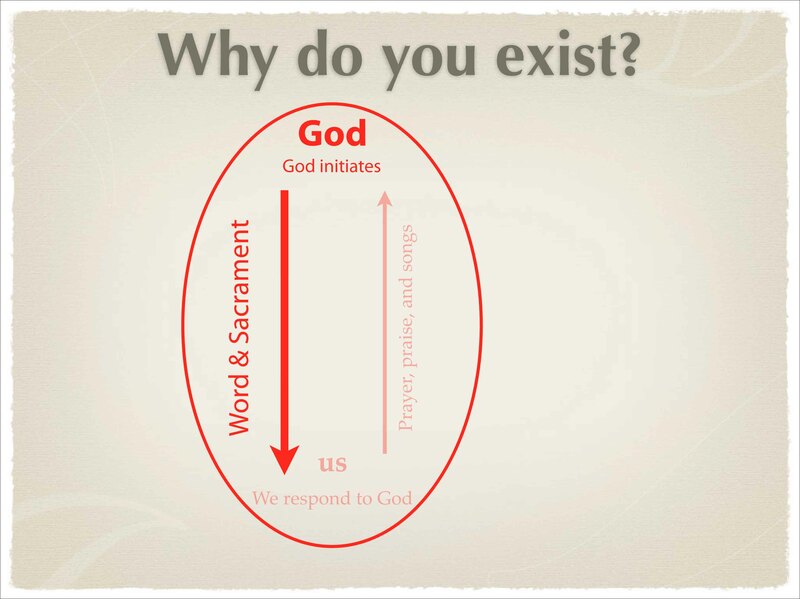 Previous Previous post: What does it mean…to be Lutheran?